Thanksgiving is a uniquely North American holiday. Something about gathering the family around a feast of turkey, potatoes, cranberries, and corn speaks to Canadians and Americans in a way the rest of the world just doesn’t understand. While Canadian Thanksgiving has come and gone, American Thanksgiving is coming up fast. This year, you can make Thanksgiving unforgettable by celebrating with your family and friends at Niagara Falls. If Niagara Falls is known for anything, it’s the area’s unique natural wonders. 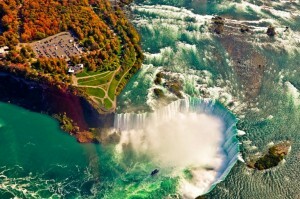 Niagara Falls, if you didn’t know, is a one of a kind attraction. The thundering water of the Niagara River rushes over the edge at a rate of 100,000 cubic feet per second. There are three sets of falls that make up the Niagara Chain, but Canada’s Horseshoe Falls is the most iconic and most impressive. A network of easy hiking paths and walkways allow visitors perfect views of the falls from virtually all angles — interested parties can even travel beneath or behind the falls for an exclusive experience. At the end of November, the Niagara region transforms into a wonderland. During late fall, trees’ leaves turn vibrantly red, and flaming leaves litter the ground to make seasonal confetti and free keepsakes. As the temperatures drop for winter, visitors might even get to experience a white Thanksgiving, as snow can hit the Niagara region earlier than it would anywhere in America. Niagara is world-renowned wine country, as the fertile soil and warm climate provide perfect growing conditions for a bevy of wine varietals. Most of the local wineries have won major awards for more than one of their wines. The art of making icewine has been perfected by the area’s vintners, but you’ll find winning vintages in more familiar reds and wines as well. Vineyards are welcoming and gracious to guests looking to sample world-class wines; many estates also have on-site restaurants where visitors can dine on expertly paired dishes with their famous wines. As previously mentioned, Niagara Falls is exceedingly fertile, but farmers and ranchers grow more than just wine grapes. Orchards and farms make a patchwork of the landscape, providing the region’s restaurants with the freshest and juiciest ingredients possible. Travelers can visit one or more of the area’s orchards to pick fresh fruit and fraternize with farm animals in petting zoos. Most farms open for tours also offer tourists souvenirs in the form of jarred goods like jams and honeys from ingredients grown on the premises. If you are still looking to craft your own Thanksgiving dinner while you’re on vacation, Niagara Falls has all you could possibly need: amazing food, astounding wine, and awe-inspiring views. 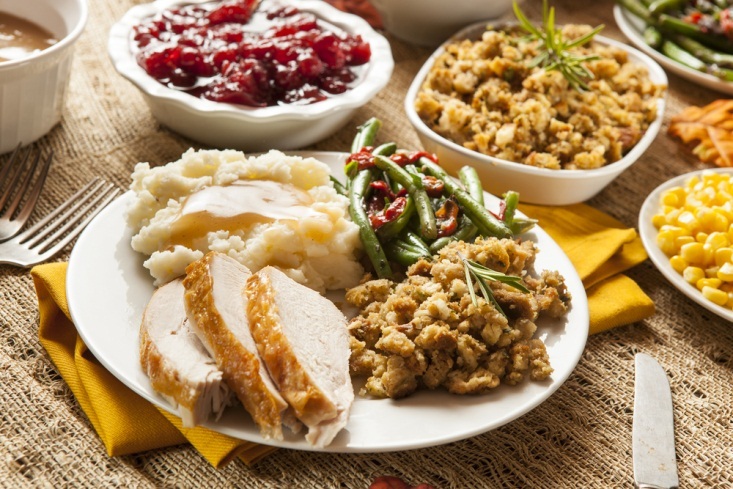 However, if you are looking to take a break from the stress of the kitchen during holiday season, any of Niagara Falls’ five-star restaurants will sate your appetite for a Thanksgiving feast. Massimo Capra has a spectacular restaurant inside the Sheraton on the Falls, and the fare is always top tier. Whether you’re eating in or out this Thanksgiving, you can’t go wrong as long as you’re in Niagara Falls.